(Newser) – After 26 years of research, scientists finally announced last week that the bones interred at Charlemagne's supposed resting place at Aachen Cathedral probably do belong to the emperor, The Local reports. 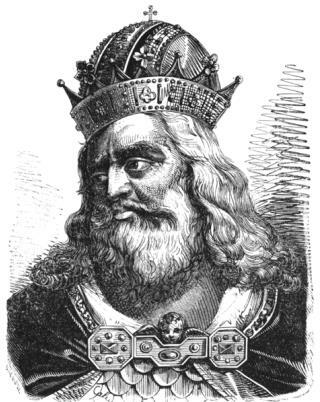 The German researchers say the 94 bones and bone fragments are from a tall, thin, older man, and their dimensions match descriptions of Charlemagne, who was unusually tall for the period at 6 feet, but also thin. (PhysOrg notes another oddity: His father, Pepin the Short, measured only about five feet.) The researchers also found evidence of injury to the kneecap and heel bones, which is consistent with claims that Charlemagne walked with a limp in his later years. Make no bones about it. If you are of European descent, you are probably a descendant of Charlemagne. "Let my armies be the rocks and the trees and the birds in the sky." Dr. Jones.